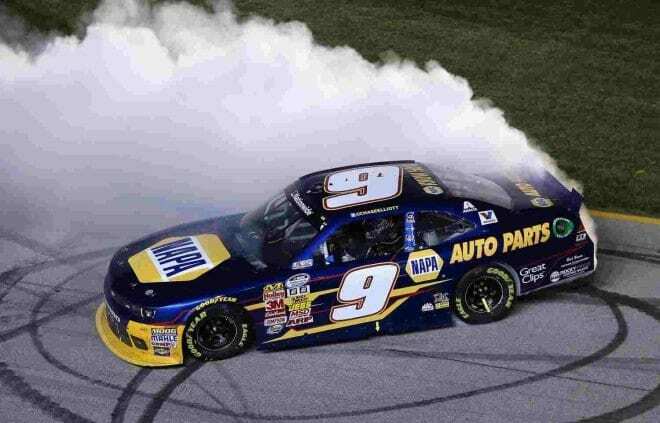 Regardless of change, time is on the side of Chase Elliott. 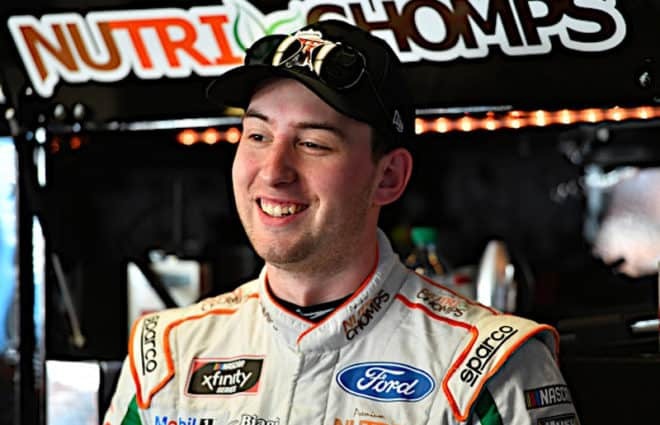 The 18-year-old Nationwide Series points leader will lose his crew chief, Greg Ives, following the 2014 season. Ives is set to take the reins for Sprint Cup Series driver – and Elliott’s boss – Dale Earnhardt, Jr., beginning in the 2015 season. 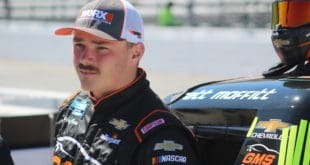 The move means that while the void for Earnhardt has been filled, it creates one for the youngster. In just his first full-time season, Elliott leads the points and has three wins after 20 of 33 races. 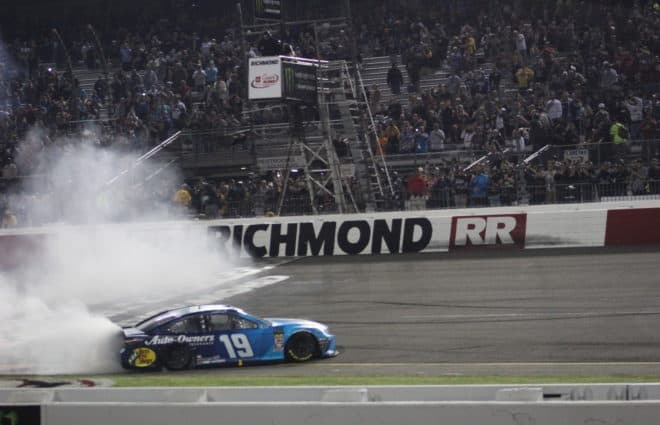 His contract with JR Motorsports runs until the end of 2015 and Elliott is expected to be back in the No. 9 next year. But the chemistry built behind he and Ives will be gone, and Elliott will start all over next year with whomever may get the nod. 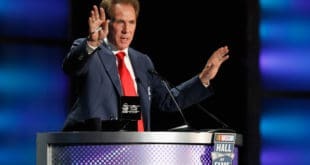 Those within the sport – and certainly Elliott fans – have looked at the decision to yank away someone he’s clearly taken to with a raised eyebrow. A rookie season during which they’ve appeared anything but inexperienced could have been the start of a long-lasting relationship. Some even threw out the comparison to Jimmie Johnson and Chad Knaus. Of course, Ives did spend five consecutive seasons winning championships under Knaus. Even as the Elliott-Ives days are numbered it won’t be as detrimental to the driver as it seems to be perceived. That’s the thing about time. First, it’s a good time to make a change since Elliott and Ives have only been together a year, and while the connection is undeniable, Elliott appears adaptable enough to be able to handle someone else slipping into the role. 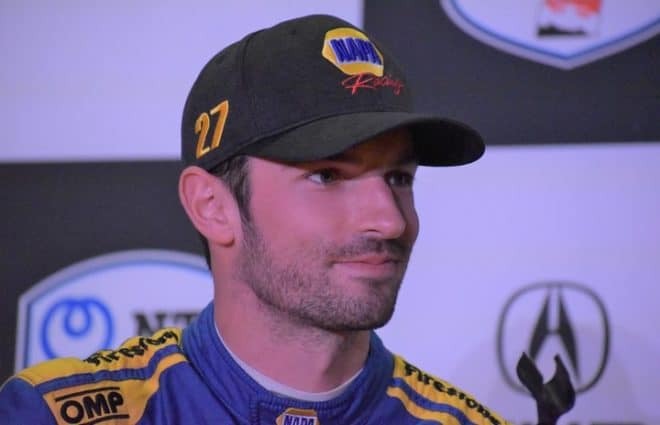 Throughout his career Elliott has jumped from one car to another, one series to the next, all in the name of getting seat time and for the love of racing. 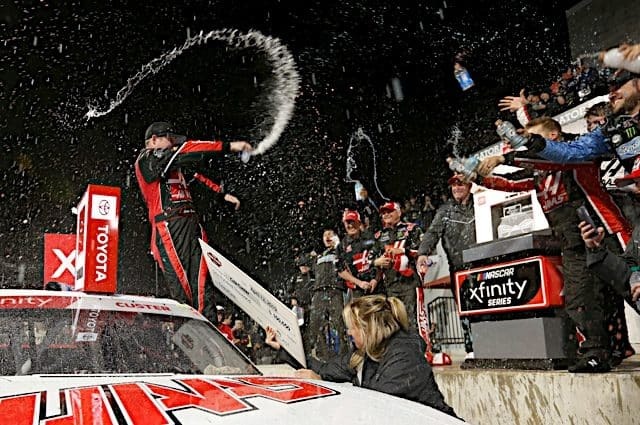 During that time, whether he was in a late model one week or a truck the next, followed by some ARCA races thrown in too, there was never any indication that the many different individuals and leaders Elliott worked with while going back and forth was a hindrance – or that he couldn’t succeed. While the chemistry between a driver and crew is where the success will stem from, Elliott is young and still inexperienced enough that he doesn’t know any better when it comes to the right and wrong crew chief. From the day he was put behind the wheel, the son of NASCAR Hall of Famer Bill Elliott has been fast. And regardless of who he is working with, he’s always going to be fast. The young driver has also already proven to be a distinct natural talent behind the wheel, with the ability to understand the car underneath him. His communication and feedback is one of the more impressive in the garage as judged by those who listen on a weekly basis of nearly every driver and team. Whomever is on the receiving end of that – as long as they are qualified for the job, of course – already has a much easier job than most. Elliott simply won’t miss a beat next year with a new crew chief atop of the box. So, why not make a move now? 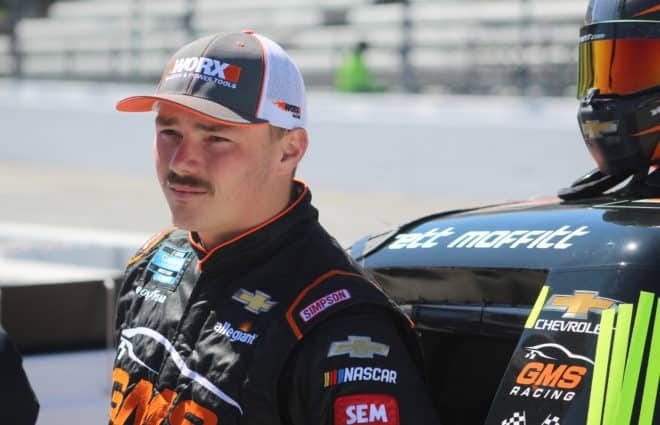 Elliott is bound for a long and successful NASCAR career, but he’s only in his rookie season. This year is about learning, logging laps and gaining experience. Yes, it’s been far more successful and lucrative than maybe anyone imagined, but there is still more to be accomplished. What is tapped into in 2014 is to be built upon in 2015, and with a new crew chief and partnership that can set themselves up for the future. Elliott is on the fast track to the Sprint Cup Series, and it is looking more and more likely that it could happen in 2016. Whomever Dale Earnhardt. Jr., Kelley Earnhardt or even Rick Hendrick decide to pair with Elliott will be a part of something that, in time, will turn out to be a great piece in NASCAR history. The concern right now shouldn’t be a new crew chief – it should focus on how Elliott and Ives finish the 2014 season with the prime position they currently sit in, which is something the driver had cross his mind, too. “My first thought was I hope this isn’t a distraction for him and the more I sat back and thought about it and just being honest with myself, Greg’s the type of guy he’s a very professional guy and he’s not going to let that take his sights off what he knows is important right now and the rest of the season,” Elliott said. And he doesn’t have anything to worry about down the road, either. Tags Chase Elliott Dale Earnhardt Jr. Rookie of the Year, I bet. None of the top-6 are too far back in points to out as far as championship contention. On experience, as Clayton Caldwell and Mark Eddinger say, I ruled out Chase Elliott and Ty Dillon as champion. 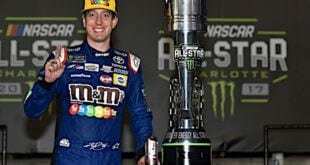 Clayton said “I don’t believe in picking a rookie to win the championship.” and Mark believed one of last year’s top-10 drivers in the final standings would make it to championship this year. “Drivers like Elliott Sadler, Trevor Bayne, Regan Smith and Brian Scott all have a shot at the championship.” Clayton said. All these drivers would have to gain on average no more than just over 3 points per race to take the lead due to the 41 point spread in the top-6. Trevor Bayne and Brian Scott, said to be the best road racers of the top group could close the Ty Dillon gap, maybe if he has a bad day and either of them avoids trouble, even erase it.